The Supreme Court hears arguments on whether children guilty of murder should be given life without parole. When it comes to punishing children, the Supreme Court doesn’t have a clue. If Americans parented their children the way the Supreme Court parents us, we’d be in deep trouble. If we learned anything at all from Dr. Sears, it was: Be consistent, be coherent, and follow through. Yet over the last few years, as the justices have struggled to figure out whether to treat teenage criminals differently than adults, they have done so with mincing sideways steps, relying on masses of experts at every turn, and laying down markers for the next case that are immediately ignored or contradicted in the next case. I don’t know whether this is the best method for clarifying the Eighth and 14th Amendment prohibitions on cruel and unusual punishment, but it’s definitely a violation of the cherished precepts of Dr. Benjamin Spock. 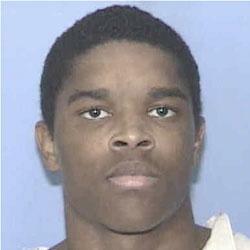 In 2005, in Roper v. Simmons, the court ended the death penalty for any minor convicted of murder, partly relying on the existence of the alternative sentence of life without parole for those juveniles. Five years later, in Graham v. Florida, the court did away with the life-without-parole sentence for juveniles who were guilty of any crimes other than homicide. It was only a matter of time, therefore, before lawyers for juvenile offenders were back at the court asking to eliminate life without parole for kids who had in fact committed murder but were only 14 at the time of their crimes. Indeed Bryan Stevenson, the lawyer for a pair of 14-year-old defendants appealing their sentences at the court today, seems to be tiring of this gradual approach. In his argument this morning, he urges the justices to save themselves—and presumably himself—some time and do away with the life-without-parole sentence for all juveniles under 18 today. The two cases are heard over the course of two hours, although they raise almost identical issues. In 2002, Evan Miller and another minor went to the trailer of 52-year-old Cole Cannon to steal his baseball cards. They beat him with a baseball bat and set fire to his trailer. Cannon died of smoke inhalation. Miller himself had suffered horrific abuse for most of his young life. An Alabama jury sentenced him to life without parole. In 1999, Kuntrell Jackson participated in the armed robbery of a video store. The clerk, Laurie Troup, died of gunshot wounds, although Jackson was not the triggerman. An Arkansas jury found him guilty of felony murder and likewise sentenced him to life without parole. Stevenson rests his argument in both cases on the logic that prevailed in both Roper and Graham: Namely, juveniles are less morally culpable than adults for their crimes. Unlike adults, their brains are still undeveloped and they are capable of reform and redemption in ways that adult criminals are not. Stevenson opens by explaining that in Graham, “this Court recognized that children are inherently characterized by internal attributes and external circumstances that preclude a finding of a degree of culpability that would make a sentence of life imprisonment without the possibility of parole constitutionally permissible.” He will use the word “children” 18 times in the first argument alone. Justice Antonin Scalia starts off the bargaining this morning by questioning Stevenson on whether a sentence of 50 years for a juvenile murderer is enough. “Why is life without parole categorically different from 60 years or 70 years?” Then he asks Stevenson why 14 years old is the magic number: “What’s the distinction between 14 and 15?” he asks. Justice Ruth Bader Ginsburg asks whether it would be acceptable to Stevenson to just do away with mandatory life without parole punishment and just leave it to the judge and jury to decide the sentence. Stevenson doesn’t like that option; he says he wants a clear prohibition on these sentences based on the argument that “it it would be a mistake to equate kids with adults.” Justice Kennedy balks at the prospect of such a sweeping rule. “You leave us with nothing but saying that the sentence is never permitted or that it’s always permitted,” says Kennedy. Justice Samuel Alito asks Stevenson for his definition of “children” for the purpose of this case. Stevenson wants to draw the line at age 18. That’s a rough argument to make because while there are only 79 people in prison with a life-without-parole sentence for crimes committed when they were 14 or younger, there are around 2,300 who have earned the sentence for crimes committed before they were 18. Stevenson finishes his rebuttal by reminding the justices that “children are uniquely more than their worst act.” The court appears poised to accept some version of that argument. The fact that 14-year-olds are children is not in dispute today. Nor is the fact that a child’s worst act—even when it’s murder—can’t be the sole determinant of their sentence. What to do about it and the next time the court is asked to deal with children? That bit isn’t clear at all.